DOmedia, the host to the largest database of OOH vendors in the US, is constantly encountering innovative vendors. In our Vendor Spotlight series, we attempt to highlight these companies and explain to you how they are pushing the industry forward. Today we’re focusing on Catchweight. Founded in 2011, Catchweight is an award-winning marketing agency headquartered in Columbus, Ohio with offices in Los Angeles and New York. 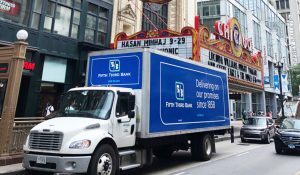 They offer a unique portfolio of hyperlocal truck-side marketing solutions. This allows them to efficiently reach new customers at scale. 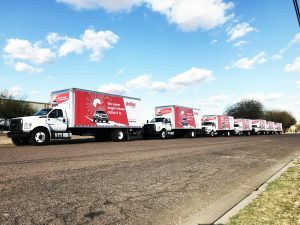 With general-routing, ads are displayed on trucks driven by certified carriers actively making deliveries. For those who want more flexibility, they also offer controlled-routing. This option utilizes dedicated drivers for 8-10 hours per day to penetrate market events to provide unmatched brand awareness for advertisers. A large part of what makes Catchweight successful is their veteran leadership team. Jason Ohlson, owner/founder/president, is a passionate entrepreneur and the former executive editor & principle of C: The Columbus Magazine. Jeff Alderman, executive director of client management, is responsible for business development and paid digital marketing practice. Nick Dodson, director of marketing, is responsible for delivering results-oriented brand marketing programs and media campaigns. If you want to learn more check out the vendor page here. Want to be featured on our blog? Fill out our short vendor questionnaire here.